Zoodle Vegetable Spiralizer Only $7.99 (Reg. $30)! You are here: Home / Great Deals / Amazon Deals / Zoodle Vegetable Spiralizer Only $7.99 (Reg. $30)! We have a GREAT deal on a tool that you can use to make spaghetti out of veggies! 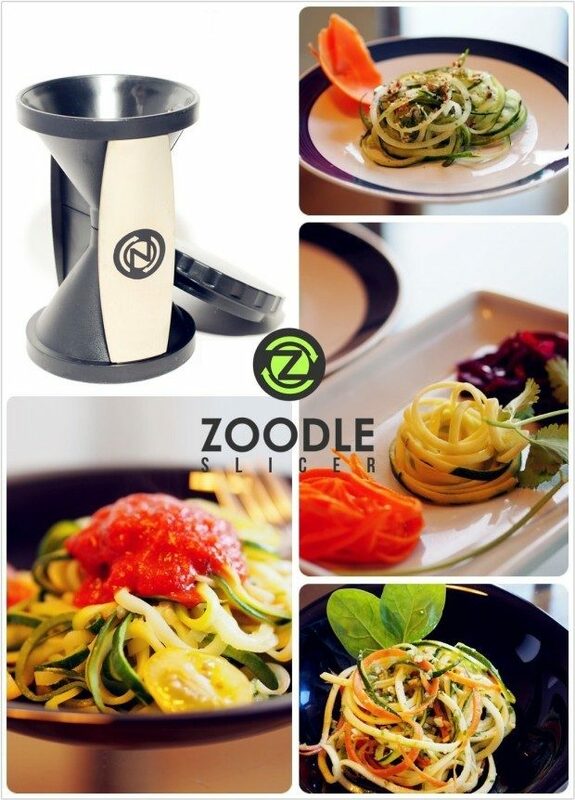 Right now, you can get the Zoodle Vegetable Spiralizer for $7.99, down from $30, when you use code 79zoodle at checkout! This is a great way to get kids to eat their veggies, too! Great GIFT for any food enthusiast or health conscious individual – Ideal for anyone on a raw food, gluten-free, paleo or low-carb diet. If you love pasta but want to try a low calorie alternative, this is for you! EASY-TO-USE award winning design – Use a simple turning motion (just like sharpening a pencil) to instantly turn boring vegetables into irresistible veggie spirals. No assembly required. Dishwasher safe & easy to clean. Fits easily into any kitchen drawer! User friendly and ergonomically designed. PERFECT FOR carrots, zucchini, cucumber, turnips, sweet potatoes and more! Spiralize endless julienne strips of countless vegetables for low carb, healthy vegetable meals! Easy to handle, and operate safely with built-in finger guards! CREATE BOTH julienne spirals AND fettuccine floral – Perfect sizes to create vegetable stir-fries, pasta dishes, salad brighteners and more! Special Sturdy Japanese Stainless Steel Blades stay sharp and never rust! LIFETIME WARRANTY Zoodle slicer is backed by a worry free lifetime warranty. If you don’t love it, just contact us and we’ll give you your money back!